Vapor, Vape, E-Cig, Supplies, Mods, Tanks, and E-Juice. We take the time to make sure you get what you need, serving the Thornton / Denver Metro area. 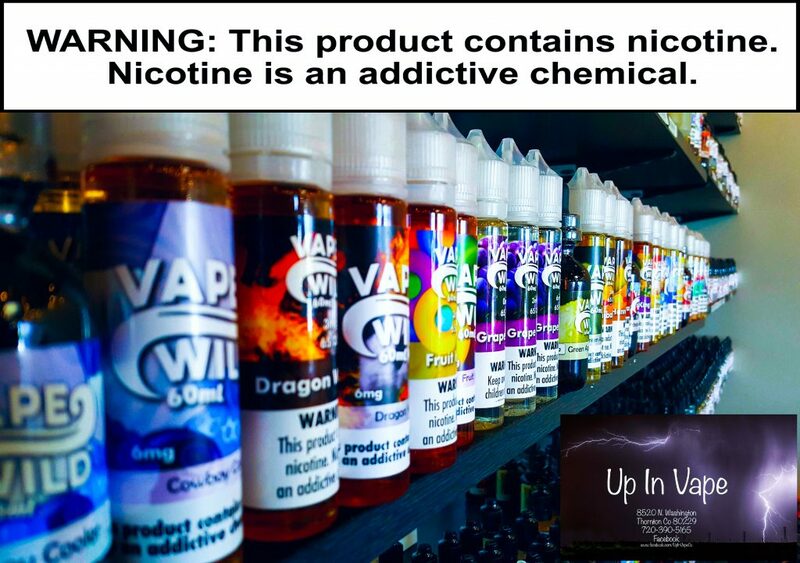 Sunday’s usually from 11:00 a.m. to 3:00 p.m.
Like and Share a post on FaceBook Page @UpInVapeCo for 10% off your entire order.